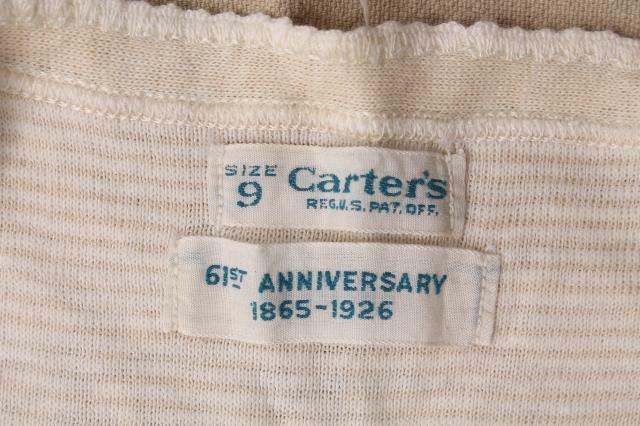 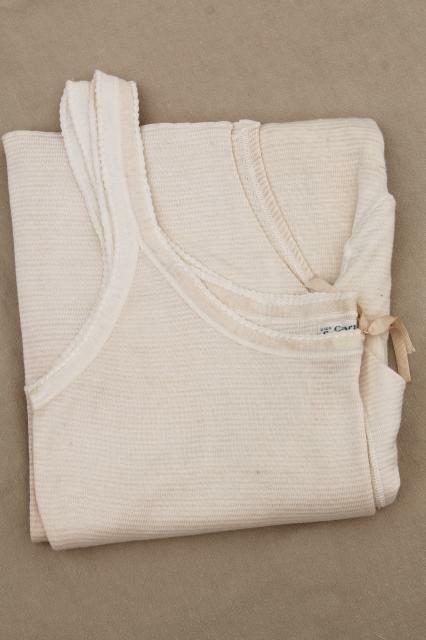 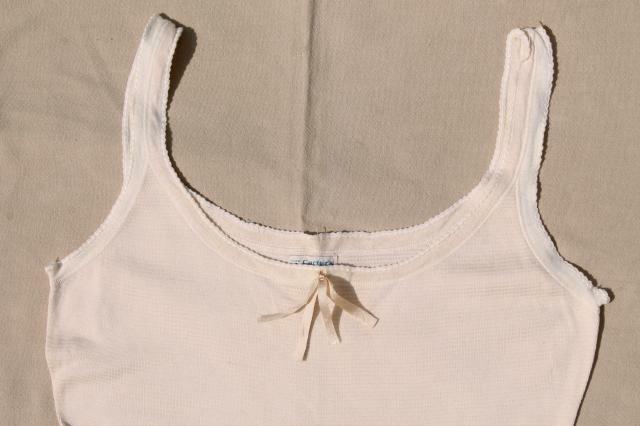 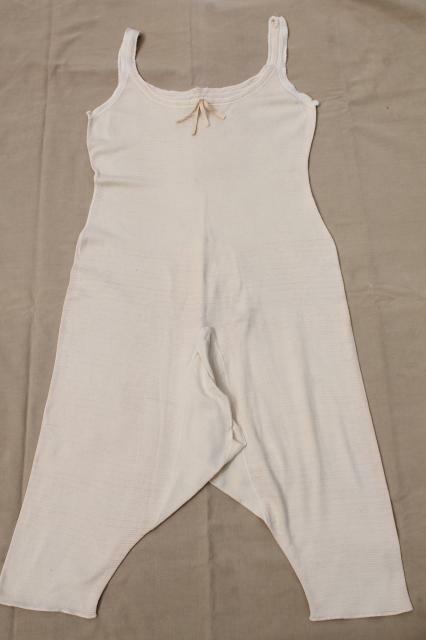 Vintage Carter's cotton knit union suit, with label dated 1926. 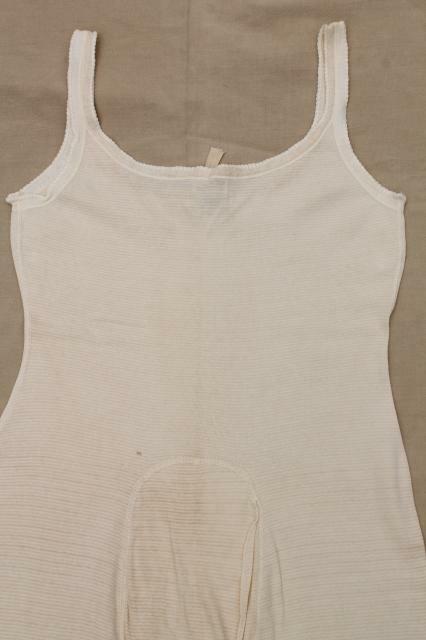 This is ladies size '9', garment measurements 34" 30" 36", with 24" torso length unstretched. 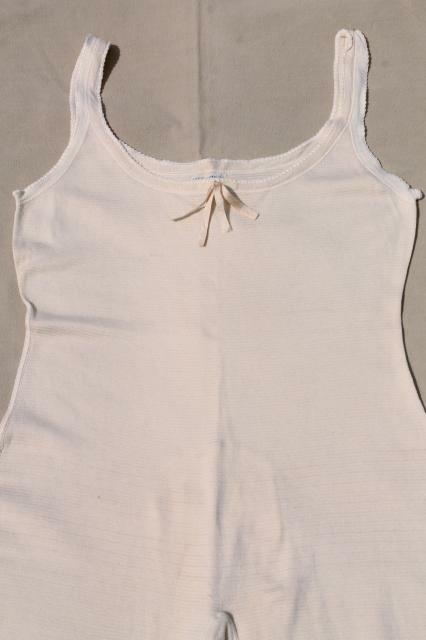 It looks faintly yellowed - probably from storage, we think. 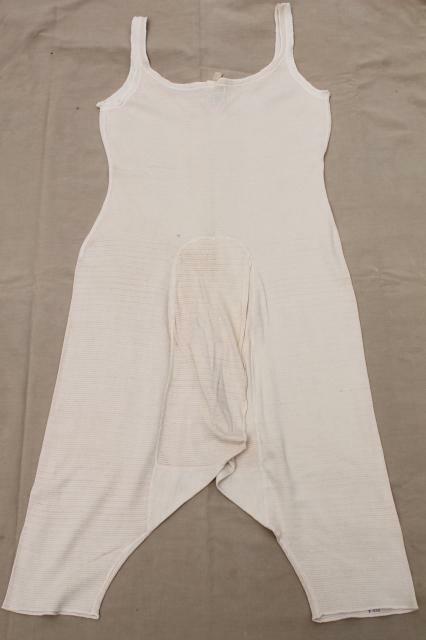 This really doesn't look as though it was ever used.